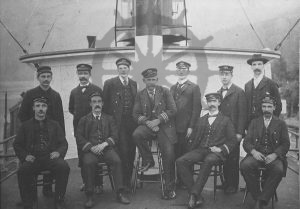 Portrait of first crew on SS Minto, 1898. TOP(l-r): Walter Wright (night watchman), Harry Cook (expressman), Roy Troup (mate), Pleti? (freight clerk), Fred Buchholz (steward). 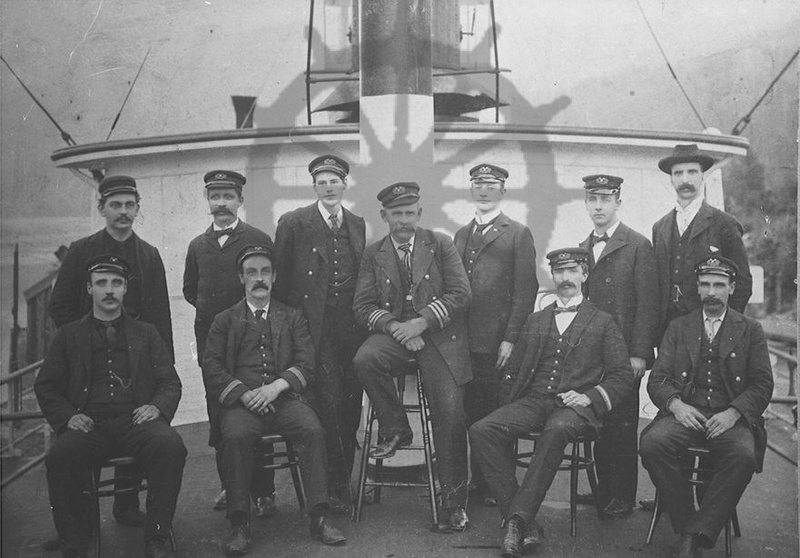 BOT: Jack Young (2nd engineer), Jack Fyfe (chief engineer), Captain J.C. Gore, Jim Taylor (purser), William Kirby (mate).